This Software Subscription Service (SaaS) Agreement (the “Agreement”) sets out the obligations and conditions between you (“the Client”) and iNutrition Pro Pty Ltd (iNutrition Pro or “the Provider”), an Australian limited liability company, relating to your use of the Services defined here. Please ensure that you have read this Agreement carefully and that you understand its terms, as your use of the Services is expressly conditional on your acceptance of this Agreement. A. 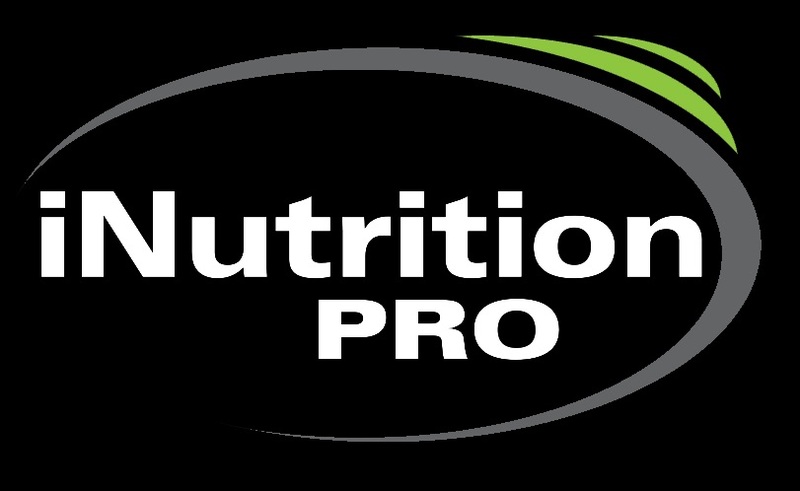 The Provider is the owner of certain proprietary computer software known as iNutrition Pro used to create and manage Nutrition and Diet Plans (the “Software”). B. The Provider provides and sells subscriptions for subscribers to access and use the Software via inutritionpro.com or any website notified to the subscribers from time to time (the “Services”). C. The Client desires to use the Services for the Client’s internal business purposes, including specifically for use by the Client’s customers and/or potential customers (“Authorised Users”) to provide Nutrition and Diet Plans for the Authorised Users, pursuant to the terms and conditions set out in this Agreement. D. The Provider is willing to provide access to the Services for the Client’s internal business use in accordance with the terms and conditions set out in this Agreement. E. The Provider and the Client acknowledge and agree that this Agreement take effect and be in force immediately upon the date that the Client clicks the “I Agree” icon (the “Effective Date”). (a) The Provider grants to the Client and the Client accepts from the Provider, a limited, non-exclusive, non-transferable right to access and use and permit Authorised Users to access and use the Services solely for the Client’s internal business use. The Services must not be used by the Client or by Authorised Users for, or on behalf of, third parties that are not authorised under this Agreement. The Client must use its best efforts to ensure that the Authorised Users use the Services in accordance with the terms and conditions of this Agreement. The Client acknowledges that its right to use the Services will be web-based only pursuant to the terms of this Agreement and the Software will not be installed on any servers or other computer equipment owned or controlled by the Client or otherwise provided to the Client. (a) The Client acknowledges that all right, title, and interest in and to the Services and the Software, together with its codes, sequences, derivative works, organisation, structure, interfaces, any documentation, data, trade names, trademarks, or other related materials (collectively, the “Provider IP”), is, and at all times shall remain, the sole and exclusive property of the Provider. The Provider IP contains trade secrets and proprietary information owned by the Provider and is protected by Australian copyright laws (and other laws relating to intellectual property). Except for the right to use the Services, as expressly provided in this Agreement, this Agreement does not grant to the Client any rights to, or in, patents, copyrights, database rights, trade secrets, trade names, trademarks (whether registered or unregistered) or any other rights or licenses with respect to the Services or the Software. (b) The Client must not attempt, or directly or indirectly allow any Authorised User or other third party to attempt to copy, modify, duplicate, create derivative works from, frame, mirror, republish, reverse compile, disassemble, reverse engineer, download, transmit or distribute all or any portion of the Services and/or Software in any form or media or by any means. (c) The provisions of this Section (2) survive termination of this Agreement. (a) The Client shall pay to the Provider the subscription fee (the “Subscription Fee”) in the amount and for the duration that the Client has entered and agreed to pursuant to the sign up page for this Agreement. (b) The Subscription Fee for the first Subscription Period (either month or year, as applicable) of the term of this Agreement must be paid on the Effective Date. The Subscription Fee for all subsequent Subscription Periods of the term of this Agreement shall be paid to the Provider on the first day of each subsequent Subscription Period, pursuant to subsection (d), below. (c) The amount of the Subscription Fee includes GST for all Clients resident in the Commonwealth of Australia. (d) The Client shall provide a valid credit card for automatic bill paying, or other acceptable method of payment to the Provider and shall take all necessary steps to authorise the automatic payment of the Subscription Fee. By entering into this Agreement, the Client hereby authorises the Provider to automatically charge the Client’s nominated method of payment for all Subscription Periods during the term of this Agreement. (e) If, for any reason, automatic payment is denied or declined, the Provider will make three more attempts within the next seven days. If after this time the payment is still unresolved, access to the Software will be limited to the Account management parts only, and Authorised Users will not be able to access the Software while the Client has restricted access. (f) If access to the Software is limited in accordance with subsection (e) above, the Client must manually complete the payment in order to regain full access to the Software. (g) If payment is not resolved within 1 (one) month, the Client Account will be closed and the Client’s access to the Software will be ceased. (h) Any additional payment terms between the Provider and the Client must be agreed to in writing and set forth in an invoice, billing agreement, or other written document. (ii) for any unforeseen cause beyond the Provider's reasonable control, including but not limited to internet service provider or communications network failures, denial of service attacks or similar attacks, or any force majure events set forth in this Agreement. (b) The Provider will monitor performance indicators on the systems and network infrastructure (its own and that of third party suppliers) in order to gauge the overall performance of its hosting services, and will take reasonable steps to address systems and network infrastructure as required to maintain satisfactory performance of the Software. (c) The Provider further reserves the right to monitor and reasonably restrict the Client’s ability to use the Services if the Client is using excessive computing resources which are impacting the performance of the Services for other subscribers. The Provider agrees to notify the Client in cases where it restricts such use and use good faith efforts to determine an appropriate alternative or work-around solution. (a) The Term of this Agreement shall commence on the Effective Date and shall continue until terminated as provided in this Agreement. The Client shall elect whether the term will consist of annual or monthly periods (each a “Subscription Period”). (b) For a Subscription Period of one month, the Agreement shall automatically renew for the next month, until cancelled online by the Client from the Account Management Section. (c) For Subscription Periods longer than one month, the subscription must be manually renewed by the Client close to the expiry date. (d) Upon termination of this Agreement for any reason, all rights and subscriptions granted to the Client shall immediately terminate, and the Client must cease using the Services and shall prohibit Authorised Users from using the Services. (a) The Client will be in default of this Agreement if the Client fails to make any payment when due and fails to rectify any such default within seven (7) days after receipt of written notice of the default from the Provider. (b) In addition to the monetary breach described in subsection (a) above, either party will be in default of this Agreement if the party is in material breach of this Agreement and fails to rectify such breach within one (1) month after receipt of written notice of the breach from the non-breaching party. If a party is in default, the non-breaching party may terminate this Agreement or seek any other remedies available at law or in equity, except as otherwise provided in this Agreement. (c) In the event the Client breaches or attempts to breach any of the provisions of this Agreement, the Provider will have the right, in addition to such other remedies that may be available to it, to injunctive relief enjoining such breach or attempt to breach, the Client hereby acknowledging the inadequacy of any remedy at law. (a) In addition to, and in no way limiting the requirements relating to the Provider IP as set out in forth in Section (2) of this Agreement, the Client must use its reasonable efforts (but in no case less than the efforts used to protects its own proprietary information of a similar nature) to protect all proprietary, confidential, and/or non-public information pertaining to or in any way connected to the Software, the Services, the Provider's financial, professional and/or other business affairs, and this Agreement (the "Confidential Information"). (b) The Client must not disclose or publicize the Confidential Information without the Provider’s prior written consent. (c) The Client must use their reasonable efforts (but in no case less than the efforts used to protects its own proprietary information of a similar nature) not to disclose and not to use the Confidential Information for their own benefit or for the benefit of any other person, third-party, firm or corporation in a manner inconsistent with the purpose of this Agreement. (d) The terms of confidentiality and non-disclosure contained in this Agreement will expire five (5) years from the date of the termination of this Agreement. (iv) required by law or court order to be disclosed. (ii) the Services will be provided with acceptable care and skill. (b) EXCEPT AS FOR THE WARRANTIES SET OUT IN SUBCLAUS (a) ABOVE, THE CLIENT ACKNOWLEDGES THAT THE SERVICES ARE PROVIDED “AS IS” AND THE PROVIDER DISCLAIMS TO THE FULLEST EXTENT AUTHORISED BY LAW ANY AND ALL OTHER WARRANTIES, EXPRESS OR IMPLIED, INCLUDING WITHOUT LIMITATION ANY IMPLIED WARRANTIES OF MERCHANTABLITY OR FITNESS FOR A PARTICULAR PURPOSE. (a) The Provider is required to collect and store certain data relating to the Client and/or Authorised Users, such as name, email address and/or contact details (the “Client’s Data”), to facilitate provision of the Services. (b) The Client possesses and retains all right, title, and interest in the Client’s Data, and the Provider’s use and possession thereof is solely on the Client’s behalf. (ii) give its employees, subcontractors and/or third party suppliers access to the Client’s data, except to the extent that it is required to facilitate provision of the Services and/or performance of this Agreement, and subject to a reasonable written confidentiality and non-disclosure agreement with any such employees, subcontractors and/or third party suppliers protecting such data. (d) Notwithstanding subsections (a) and (b) above, the Provider may disclose the Client’s data as required by applicable law or by proper legal or governmental authority. The Provider shall give the Client prompt notice of any such legal or governmental demand and reasonably cooperate with the Client in any effort to seek a protective order or otherwise to contest such required disclosure, at the Client’s expense. (e) The Provider shall exercise commercially reasonably efforts to prevent unauthorised exposure or disclosure of the Client’s Data (“Data Breach”). (f) In the event of a Data Breach, or in the event that the Provider suspects a Data Breach, the Provider will promptly notify the Client and where applicable, investigate and resolve the Data Breach, unless the Data Breach resulted from the Client’s act or omission. (11) Limitation of Remedy and Liability. (iv) the terms of any contracts between the Client and its Authorised Users. (b) The Provider does not warrant that the Client’s use of the Services will be uninterrupted or error-free. (c) The Client shall not assert any claims against the Provider based upon theories of negligence, gross negligence, strict liability, fraud, or misrepresentation, and the Client shall defend the Provider from any demand or claim, and indemnify and hold the Provider harmless from any and all losses, costs, expenses, or damages, including reasonable legal costs, directly or indirectly resulting from the Client’s use of the Services, an Authorised User’s use of the Services, and/or any agreement between the Client and an Authorised User based on or in any way related to the Services. (d) TO THE MAXIMUM EXTENT PERMITTED BY APPLICABLE LAW, IN NO EVENT SHALL THE PROVIDER BE LIABLE FOR ANY SPECIAL, INCIDENTAL, INDIRECT, CONSEQUENTIAL, PUNITIVE, EXEMPLARY DAMAGES, OR DAMAGES WHATSOEVER (INCLUDING, WITHOUT LIMITATION, DAMAGES FOR LOSS OF BUSINESS PROFITS, BUSINESS INTERRUPTION, LOSS OF BUSINESS INFORMATION, OR ANY OTHER PECUNIARY LOSS) ARISING OUT OF THE USE OF OR INABILITY TO USE THE SERVICES, WHETHER BASED UPON CONTRACT, WARRANTY, TORT, NEGLIGENCE, STRICT LIABILITY OR OTHERWISE, EVEN IF THE PROVIDER HAS BEEN ADVISED OF THE POSSIBILITY OF SUCH DAMAGES. (e) In any event, under no circumstances will the Provider be liable for any loss, costs, expenses, or damages to the Client in an amount exceeding the Subscription Fee actually paid to the Provider by the Client for the previous twelve (12) months. Notice, demand, or other communication mandated to be given by this Agreement by either party to the other shall be sufficiently given or delivered if it is sent by email or delivered personally. The Client’s address for notice purposes shall be Client’s email address provided as part of registration process. (b) Governing Law; Forum Selection. This Agreement shall be governed exclusively by the laws of the State of New South Wales, in the Commonwealth of Australia and any action under or concerning this Agreement shall be brought exclusively in the the Court of appropriate jurisdiction in the State of New South Wales, in the Commonwealth of Australia and the parties irrevocably agree and consent that said forum is convenient and has jurisdiction to hear and decide any such action. The Client warrants that it shall use the Services in accordance with any and all local, state, and federal laws as applicable to the Client’s place of residence or business operations. The paragraph headings in this Agreement are for convenience only and they form no part of the Agreement and shall not affect the interpretation thereof. If any provision of this Agreement is deemed illegal, void, or unenforceable, the remaining portions shall remain in full force and effect. The delay or failure of either party to exercise any right under this Agreement or to take action against the other party in the event of any breach of this Agreement shall constitute a waiver of such right, or any other right, or of such breach, or any future breaches, under this Agreement. The Client must not assign or transfer or attempt to assign or transfer this Agreement. (h) No Partnership or Agency. Nothing in this Agreement is intended to or shall operate to create a partnership between the parties, or authorise either party to act as an agent for the other, and neither party shall have the authority to act in the name or on behalf of or otherwise bind the other in any way. The Provider will not be held responsible for any delay or failure in performance of any part of this Agreement to the extent that such delay is caused by events or circumstances beyond the Provider's reasonable control, including but not limited to fire, flood, storm, act of God, war, malicious damage, failure of a utility service or transport or telecommunications network. This Agreement constitutes the entire agreement between the parties with respect to the Services, and supersedes any and all prior or contemporaneous understandings or agreements whether written or oral. No amendment or modification of this Agreement will be binding unless reduced to a writing signed by duly authorised representatives of the parties and such writing makes specific reference to this Agreement and its intention as an amendment hereto.